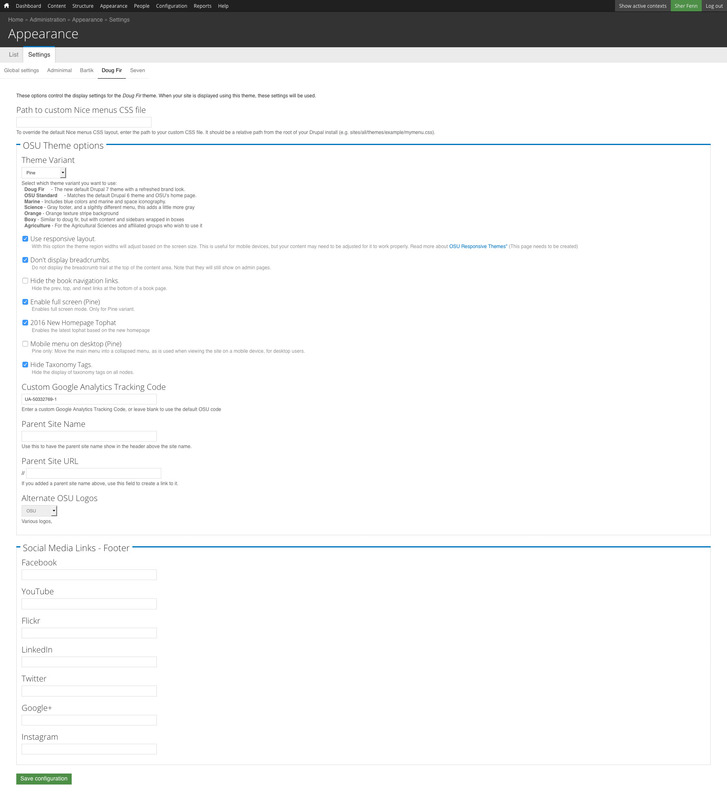 The core option Book module, which we use in OSU Drupal 7 to accompany Groups, provides quite a bit of extra functionality. One of the features it provides is the automatic building and display of hierarchical links at the bottom of a node's Body content. These links can be very helpful, especially when a book structure is very tightly chained, such as for a book of policy and procedure. We use books for more than tightly structured content, though. 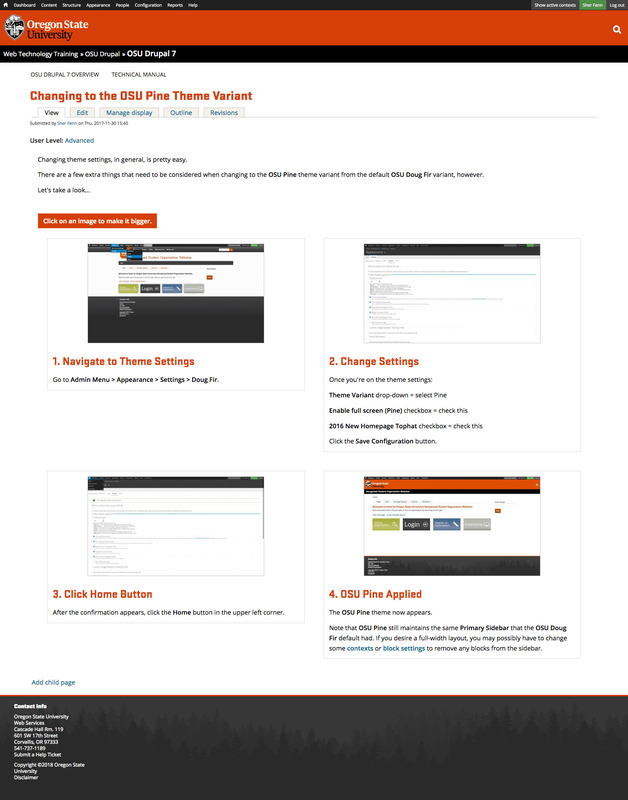 In many cases, a site owner may wish to remove these bottom navigation tools. This can be quickly and easily done via the theme settings. Please note that turning off this feature will apply to the entire site. We do not currently have a way to apply this to arbitrary groups or ranges. 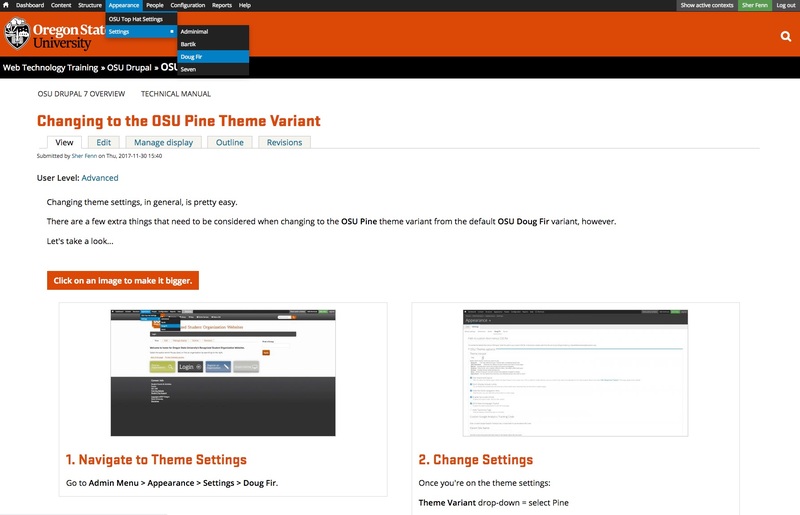 The OSU Pine theme is a variant of Doug Fir. You will not find a specific theme called OSU Pine. The Doug Fir theme settings screen will appear. Hide the Book Navigation Links checkbox = check. 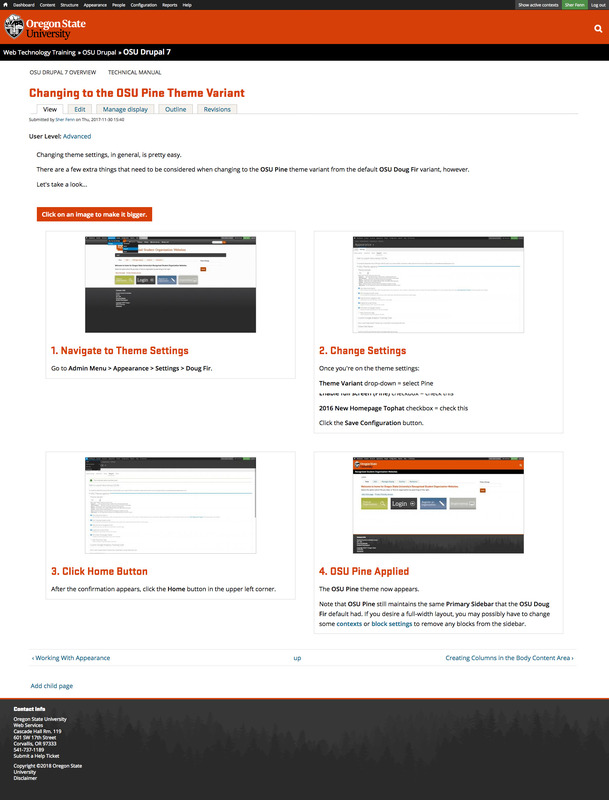 Navigate to a sample page to verify the removal of the Navigation Links.